For normal to combination skin. Northern Raspberry deeply tones and conditions skin. Controls oily zones while soothing dry areas. Minimizes pores, regulates pH. Skin feels refreshed, smooth and soft. Boosts the effects of moisturiser. 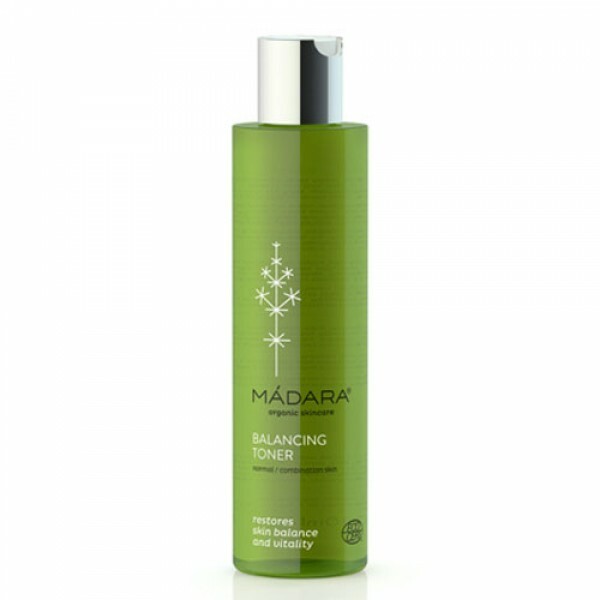 The Deep Balance Toner deeply tones and balances oily and dry areas of the face. It tightens pores, regulates pH levels of the skin and prepares skin for better absorption of moisturiser. Aqua Rosa Damascena (Rose) Flower Water* Alcohol Rubus Idaeus (Raspberry) Fruit Extract* Glycerin "Cucumis Sativus (Cucumber) Fruit Extract*" "Plantago Major (Plantain) Leaf Extract*" Chamomilla Recutita (Camomile) Flower Extract* Betaine Lactic Acid Sodium Levulinate Sodium Anisate Sodium Lactate Sodium PCA Mannitol Lecithin Sodium Cocoyl Glutamate*. * Ingredients issued from Organic Agriculture; Natural and Organic cosmetic certified by ECOCERT SAS B.P. 47 F-32600 according to ECOCERT Standards. After cleansing your face wet a cotton ball with toner, sweep over face and neck. 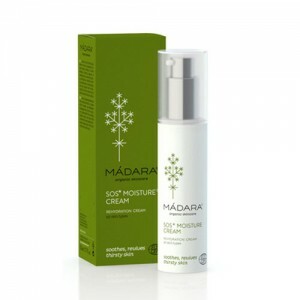 Continue with a suitable MADARA moisturiser. Deep Moisture Fluid is the perfect choice for Normal to Combination skin.